The device includes a base unit for speaking remotely and discreet sensors which are installed by our partners in strategic locations around the apartment: at the front door, in the sitting room and if needed under the bed mattress. These wireless, battery-powered sensors may be installed in any type of apartment or house and do not in any way damage the furniture or walls. 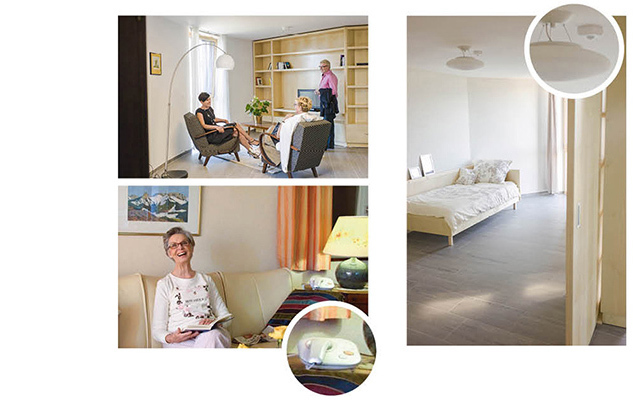 Following installation, the DomoCare® service sensors record activities in the home over several days and establish a profile for the person concerned. Then, the family or caregiver validates the settings according to the sensitivity of the emergency or prevention alarms. 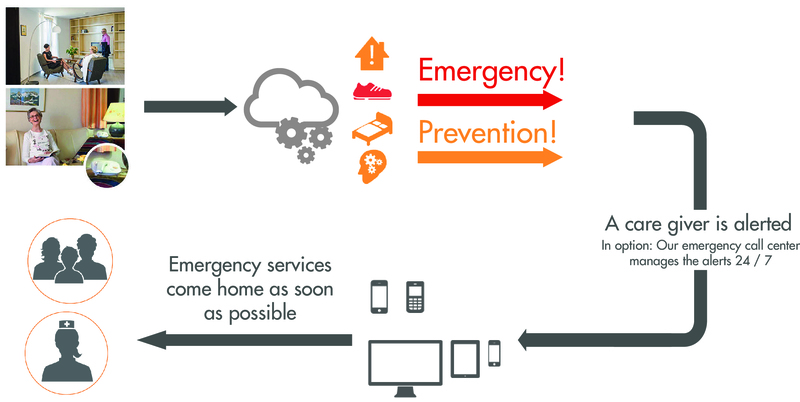 When an incident is detected, the DomoCare® system sends an emergency alarm to an emergency call centre or to the family which can respond immediately. The system also gives preventive information to the nursing staff or families, enabling them to respond before noting a significant change in health condition. The alarms are sent by SMS, email or telephone call depending on the emergency, providing those contacted with the necessary information thanks to our mobile applications.